Art as a creative human expression encapsulates myriad things. It portrays the beauty of life or a bitter reality. It records history, revolutions, rebellions, and sometimes is a means to escape them. In short, there is no history or culture without art. That’s why days like National Art Day, celebrated on October 25, are important. 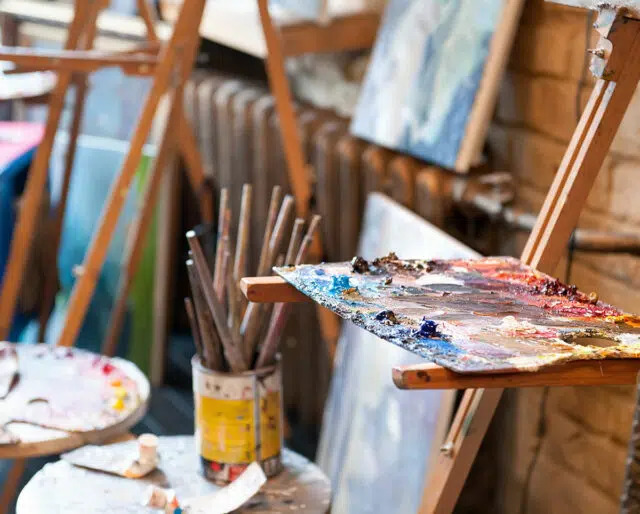 Also known as International Artist’s Day, this day celebrates all forms of art — paintings, sculpture, photography, architecture, music, and more. Through this celebration we show our respect for the passion and creativity in all artists. Andy Warhol made the famous Campbell's Soup Cans that were considered to be a breakthrough in Pop Art. The set consists of 32 silk-screened canvases, one for each of the 32 soup varieties that Campbell's sold at that time. ​Jackson Pollock was called "Jack the Dripper" for his famous drip paintings. "No. 5, 1948" is the most expensive and renowned abstract work by this American artist. America's most famous and diverse art museum was incorporated. It opened to the public and was located at Dodworth Building at 681 Fifth Avenue in New York. Credit goes to the Flemish painter Jan van Eyck but in truth, oils were used before his time. Oil paint could be mixed more easily and applied in big strokes. This revolutionized the art scene. This small ivory carving of a female figure was discovered in southwestern Germany and is believed to be one of the oldest pieces of art discovered so far. Dress up a wall and encourage a local artist on this special day. Take a painting lesson and make some friends sipping wine. You can likely frame the result! You don't have to be an art lover or critic to spend a few hours in an art museum. Pay a visit and let art speak to you. ​Salvador Dali once explained that the idea for melting clocks in his famous painting "The Persistence of Memory" came from Camembert cheese he saw melting in the sun. ​The Mona Lisa only gained notoriety after she was stolen in 1911. For about 350 years only a few critics and scholars celebrated and acknowledged this painting! Did you know art competitions used to be a part of the Olympics? The categories were painting, sculpture, architechture, music, and literature. ​Gemstone paintings originated in Rajasthan, India. Painters use precious and semi-precious gemstones, like ruby, sapphire, jade, lapis lazuli, etc., in fine powdered form to create beautiful works of art. ​Picasso could draw before he learned to walk! And the first word he spoke was "pencil." Artists are a passionate and talented lot that deserve our respect for their work and contributions to our culture. Great works of art are truly uplifting and on this day we can open our senses to such inspirations. All artists, regardless on skill level, earnings, or status benefit from a celebration like this one.